Posted Apr 19, 2018 by Eds. Karl Marx was born on May 5th, 1818 in Trier in what is now Rheinland-Palatinate. Many cities in the surrounding area are using the upcoming anniversary to gain big capital from multiple Marx-themed memorabilia, including a ‘zero-euro’ bill introduced in March with the likeness of Karl Marx, who had a very distant relationship to money. The German thinker is known for being the father of modern Communism, with groundbreaking works such as “Capital. A Critique of Modern Political Economy”. The crux of his philosophy lies in the critique of capitalism and the use of money as an exploiter of workers. 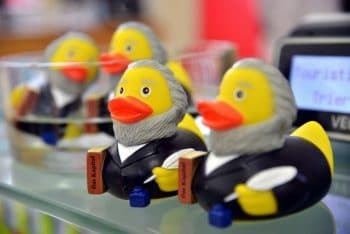 However, in celebrations of Marx’s birth, people are wasting no time attempting to gain as much ‘capital’ as possible. In Chemnitz – a city that was called ‘Karl-Marx-Stadt’ during the GDR’s reign-there is a new beer with the name MarxStädter (Marx townspeople). In Trier, visitors can also purchase a Karl-Marx wine-a red one of course. For those looking for a vessel for all of these Karl-Marx themed drinks, cups are also one of the items available for sale, with logos including Marx’s head, quotes from the famous philosopher, and red and green Marx traffic lights, which are also currently located in the city. 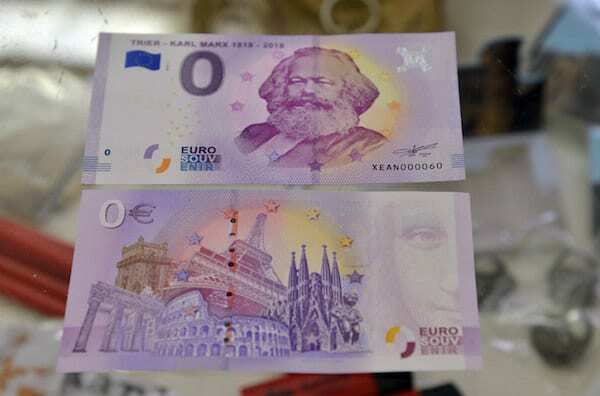 The real treasure in the Marx-themed merchandise, though, is a ‘zero-euro’ bill, which has been introduced to the international market by the Trier Tourism company for the last few months. By the end April, there are expected to be more than 20,000 copies of the Marx-inspired zero-euro currency, which are available for pre-purchase on their website. For the city of Trier, this is proving to be a lucrative business: The ‘zero-euro’ bill costs three euros. As to whether or not Marx, who was avidly anti-market capitalism, would have liked having his face attached to money, the Trier Tourism boss Norbert Käthler told newspaper T-Online that he does not like to say.